This orange rope dog lead with black comfort handle has a locking carabiner style clip which is easy to attach to the collar or harness. The clip also rotates preventing the lead from twisting. 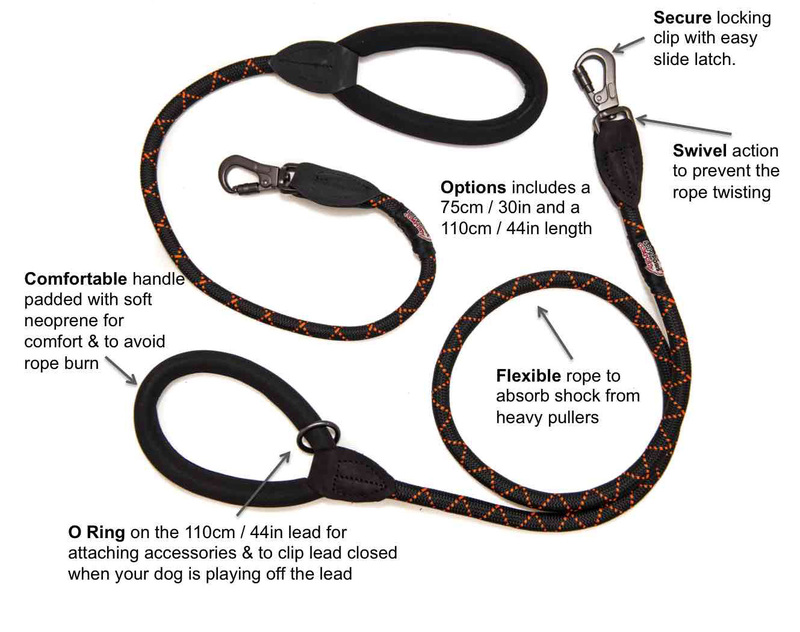 These orange rope dog leads are perfect for all working and country dogs as well as those who pull on the lead.